For decades scientist have explored Machu Picchu looking for clues as to its origins. Today, we know that this site was one of Emperor Pachacuti Inca Yupanqui's royal estates. We also know that Pachacutti also maintained many other estates including one at Pisac and another at Ollantaytambo. By examining ceramic pieces and other remains archaeologists can tell us that Machu Picchu was about eighty years old at the time of the conquest. In fact scientists believe that it was constructed between 1450 and 1470. The emperor's estates served as second homes, and were used by the emperor for relaxation. These estates were not owned by the government. Instead they were owned by the emperor and his royal family or panacas, and they were supported in luxury by agriculture. Descriptions by Spanish chroniclers describe another Incan estate near Machu Picchu. They tell us that royalty enjoyed hunting for game and fishing. They continue by saying that the mountains were filled with deer and the rivers filled with fish. The Spaniards tell us that the estates kept a large supply of peanuts, coca, and chili peppers for the emperors pleasure. Archaeologists have identified about 150 domestic dwellings at Machu Picchu. 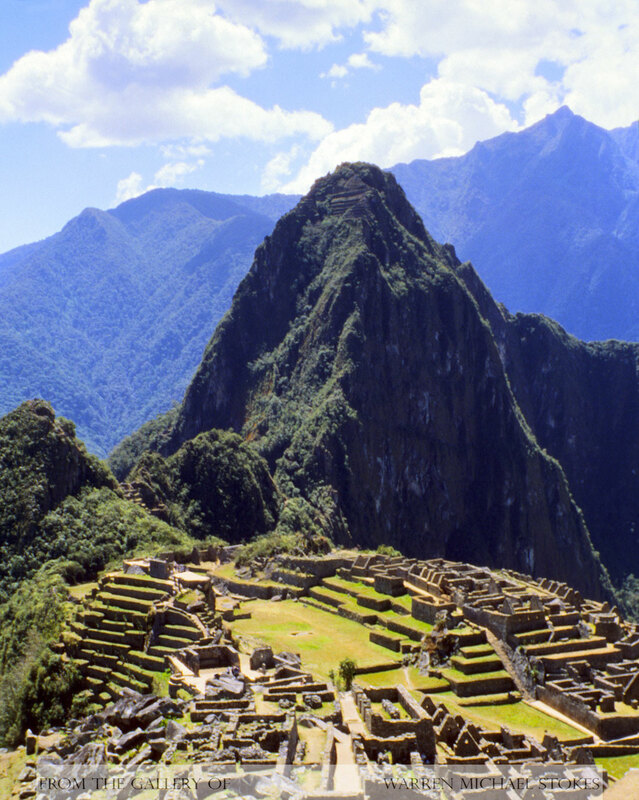 It is believed that at the busiest times of the year Machu Picchu had about 750 residents. This estimate is supported by the fact that there are only 12 acres of agricultural terraces at Machu Picchu. From pollen analysis scientist tell us that the Inca grew beans, corn, potatoes, and eighty varieties of orchids in the terraces around Machu Picchu. Water was supplied from a perennial spring on the north slope, which was supported by a series of smaller springs, and channeled in stone line canals into a series of sixteen ritual fountains. In 1911, Hiram Bingham, a professor of Latin American history, would rediscover Machu Picchu. Bingham and his group had been in search of Manco Inca’s lost city called Vilcabamba. Vilcabamba had served for forty years as the last Inca capital, and Bingham and his men were convinced that they had found it, when in fact they had found Machu Picchu instead.